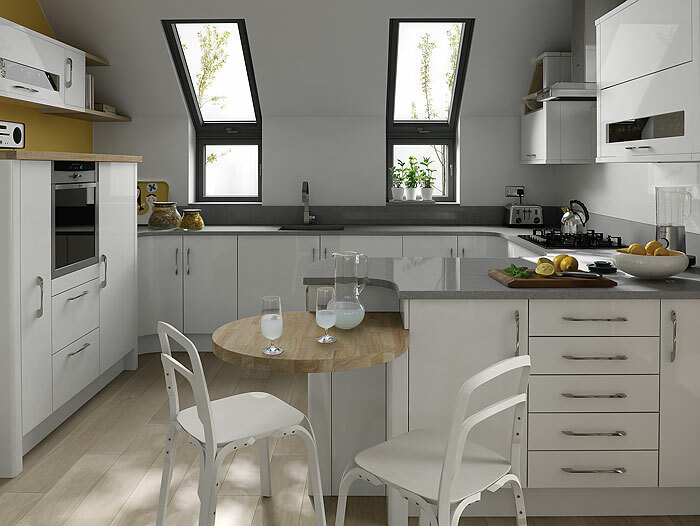 This compact u-shaped kitchen design really does make the best use of space available. The circular rubberwood breakfast bar is a feature of the design as well as a practical eating space. The grey quartz worktop with a moulded sink provides a seamless finish and maintains the contemporary feel of the kitchen.